Hola my sassy señoritas. Home at last! Even though I'm absolutely devastated that my holiday is over, I'm actually pretty glad to be back to blogging; a week without a laptop is quite a task when you're a bit of a media-maniac like me (read: checks ASOS/Topshop/Zara website every five minutes for new stock). Anyway, I decided to log my outfits for the week I was there, so without any further ado, let's crack on. It goes without saying that when on holiday, your wardrobe calls for all things bright, bold and floral (and preferably loose-fitting), so when I spotted this wide leg jumpsuit in New Look right before we left, I knew I needed it. I just cannot get over this print! Then, for the evening, I chucked on my cotton shirt so I wasn't passing out sat outside, and my favourite suede skirt. A match made in heaven. YES to beach days! Especially when the sun's beating down, there really is nothing better than going for a dip in the sea to cool you off. I decided to just throw on a denim skirt on top of my bikini to keep my booty from burning (after the trauma of last year's holiday where I couldn't physically sit down for at least 3 days. Not. Good.). The evening called for something comfortable and cool, so what better than culottes?! In this cobalt blue shade, they make the perfect statement holiday piece. Possibly my greatest holiday purchase ever?! God, I just can't take my eyes off it! Striped, rope detailing, and midi length! Dreamy. So that's all my outfits from the week! We actually spent seven nights there but two of them were spent arriving and leaving so my outfits weren't their most stylish to say the least (think pyjama bottoms and oversized jumpers but whatever, comfort comes first on a 3am flight home!). There's a couple more holiday posts to come yet so keep your eyes peeled! ooooh I love all these outfits Tasmine! 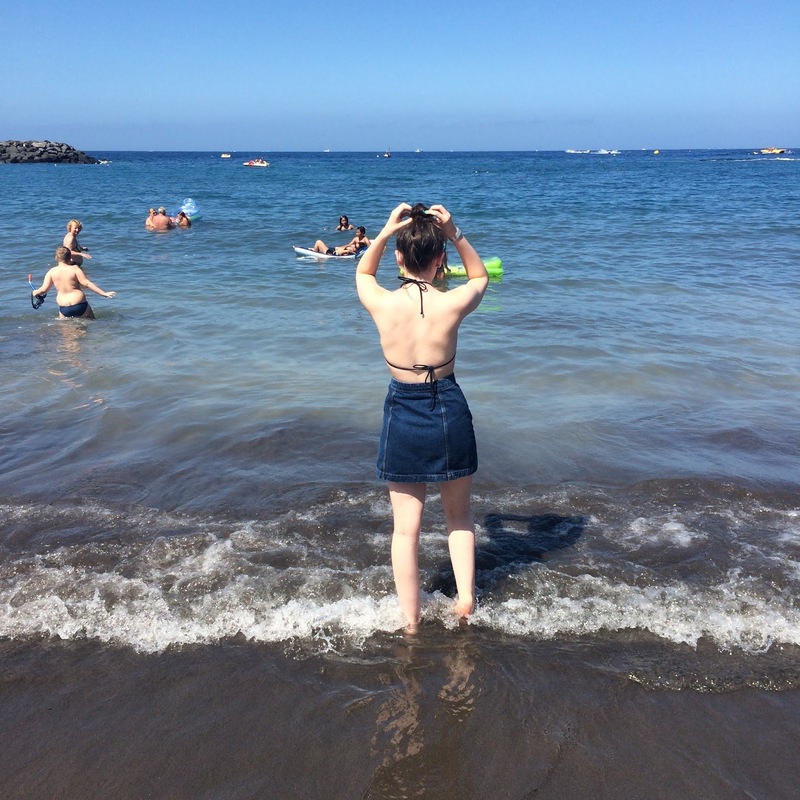 Outfits 2 and 4 are my favourites ♡ Tenerife looks amazing and I'm so happy you enjoyed your stay there!